Viber is one the most popular apps in the world and the most downloaded app that came out of the start-up nation. Working at Viber provides a unique opportunity to influence hundreds of millions of people with our messaging app. We’re looking for a highly motivated Big Data Developer to join the Data Engineering team! 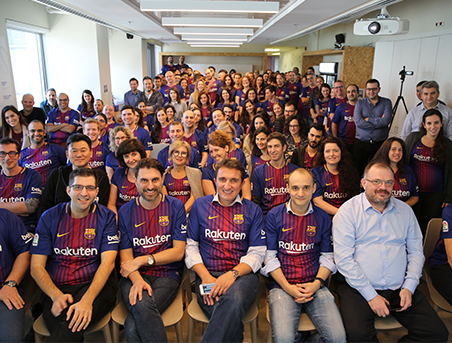 So, if you are curious about working with data on a massive scale and in real time, committed to translating insights into action, want new challenges daily and to impact the lives of millions of users globally, this role is for you! At Rakuten Viber, we connect people–no matter who they are, or where they are from. As a communication platform that connects hundreds of millions of people around the world, we know that the way people communicate changes on an almost daily basis. That’s why we dedicate ourselves to providing added value to communication — from private and group chats to audio and video calls to the ability to follow and contact brands, businesses and celebrities. Viber is an all-in-one platform for everything communications-based, and all Viber communications are protected by end-to-end encryption. Viber is part of the Rakuten Group, a world leader in e-commerce and financial services.